When I thought this book had finally finished Mikado Nintoku appeared to me, and he whispered to me to take up my pen once more and decide to give knowledge to our particular meeting. My answer is yes, and I believe the moment has arrived to give my heart to the “Truth” regarding the relationship between Mikado Nintoku-tennò and his family, with Kami, and Yuzu Asaf or Jesus. And I must answer some profound questions of the spirit that liberates those depending on the karma law that is read. What is the true descendent of Mikado Nintoku-tennò? What is the tie that binds Jesus, and Mikado Nintoku? Is there a blood tie or only a spiritual bond? Now I advise you to fasten your seat belt while I take you on the journey that will arrive at the great truth that will give the freedom of the spirit. Without disturbing the imperial Japanese family founded by Kamu-Yamato-Iware-Hiko-no-mikoto, who today is remembered by the name of Jummù-Tenno, who died at the venerable age of 127 years and was buried in on the plain of Kashiwabare, on the mount of Unebi, near the palace where he lived until the end of his days, I will try to answer these profound questions by bringing to light the chronology of Mikado Nintoku-tennò. With the imperial calm that was transmitted to me by Mikado Nintoku, I will answer the first question: What is the real descendent of Mikado Nintoku-tennò? Now I will try to answer the second question: What is the tie between Jesus and Mikado Nintoku? Sit comfortably because I would like to amplify this extraordinary story, by giving the knowledge of what I read in the Divine Book, regarding my first life lived in the vestments of the peasant sensei, Kami, and of my relationship with Mikado Nintoku and his imperial family. Many years ago the emperor of Japan, Mikado Ojin-tennò, father of Mikado Nintoku, in the imperial room standing in front of the great fireplace, was discussing with his son, Mikado Nintoku the possibility to help his poor subjects whose children were starving. Mikado Ojin listened attentively to his son and was very proud of his son’s attitude to his beloved subjects and remembered he was very like his grandmother Jingò-Kogò, in character, and she was the greatest empress that ever existed in Japan. One day in June, the rainy month in Japan he told her fascinating story: “Dear Nintoku, 8 years have passed since the death of your grandmother. She promised after a sacred cycle of 7 years she would have told you all of her imperial life. In this moment you are 184 years and I the venerable age of 224 years and even though for the common man this is very old, we are normal for a real Mikado. Nintoku you grew up under the influence of the teaching and the protection of the infinitive love of your grandmother, Mikado Jingò-tennò, and you know that she was born in the year 0 a.d. and in the year 25, during a deep meditation on Kury-ama or the slope of Fuji, she met foreign twins and although they weren’t Japanese they called themselves Yuzu Asaf and Oikiri and said they came from Nazareth. Your grandmother and Oikiri that knowing the future said she was the chosen one of the twin of Yuzu Asaf to become the wife of the Emperor of Japan, and they fell in love immediately. One day your grandmother decided to accompany her beloved Oikiri and the seven Sensei that were with him on a mysterious journey to the district of Aomori, and to the village that they called by the name of Herai. From them was born in secret the dynasty of the Imperial Japanese family united with that of the sacred family of Nazareth both royal families of all the world. After about a year your grandfather Oikiri had to leave your grandmother Jingò-Kogò to join his brother Yuzu Asaf that had finished the trial of 21 days on Fuji to go to Galilee for the loss of their younger brother Daniel, and then to go on a long journey to the sacred land of Egypt and to pass the 7 christic trials that would enable them to be the Sensei of the Sensei or the great and only purifier of the entire world. 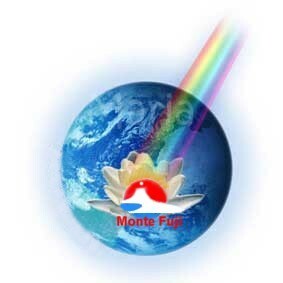 Your grandmother was expecting a baby and was hidden by the great Sensei in the country of the Jews or Hebrews and at the age of 27 she gave birth to me with great love and gave me the name of Ojin and all her life said frequently that I was the fruit of their deep love and would make me custodian of the sacred power. Transmitted by the God Amaterasu that I had inherited since birth. Following my birth the prediction of Asaf was realized when your grandmother married the emperor Keiko-tennò, a beautiful tall man, but who lacked strength, and preferred his passion for classical dancing and the dance of the warriors and eventually fell into a deep depression. The Emperor, after siring two illegitimate children with a dancer was killed in an ambush and she spent the rest of her days waiting for the return of her great love. Your grandmother never forgot the secret that Yuzu Asaf* and her beloved Oikiri** told her and she acquired a particular relationship with the sea. The sea was under her orders and gave great treasures and absolute protection in her numerous journeys .official recognition was given of the kama of the sea. After the death of her husband the emperor Keikò-tennò, in the year 72 your grandmother heard of the death of her only loved one, she and my blood father Oikiri, devoted their lives to solitude and the cultivation of the spirit and became extraordinary healers and prophets. She was served by 700 women and one man who lived by her side until she was 305 years old. This man was the only faithful intermediate between her and her subjects, whom she saw very rarely. *1. 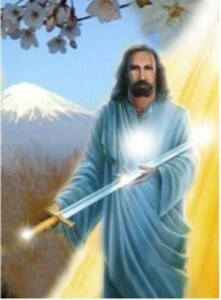 Yuzu Asaf known as Jesus, the saint who cured the lepers. **2. Oikiri Thomas, that in Greek and Arabic is translated as “toma” that means twin. I think this is the right moment to answer the third question. Who is really the peasant Sensei Kami? The emperor Oji realized that his son Nintoku had understood the identity of that faithful one of his grandmother and decided to take up once more the story only when Nintoku was ready as happened only when he saw his eyes wet with joy. “Yes Nintoku, he was our Kami and we must remember few emperors and great Sensei have been able to awaken Fuji and the Divinities that reside at the peak, with their deaths. Do you remember how Fuji mourned his death for seven days by sending torrential rain and hurricane winds, thunder and lightning all over Japan, and the plants on the path of Kury-ama cried tears of resin until they bent over touching the ground. Kami had in his blood the “cell” more royal of all royals of the world, and this same cell is in me and you. During the long period Kami lived with your grandmother, and her court, he absorbed in silence all the secrets of healing and prophets medium. Nintoku, there are many legends about these two and your grandmother was named the “Himiko witch”, that reigned in the country of Wo, the so called “country of the great Queen”. Your grandmother Jingò-Kogò became empress on the death of her husband in the year 170. Her reign lasted 99 years until the year 269 that was the venerable age she lived on this earth. Is it just a question of blood or only spiritual? He inherited from his mother the love of justice together with all the sacred powers of a Mikado, including the three Japanese “virtues” (Sun, or burns, worms, and equilibrium). The emperor Ojin-Tennò, heightened the cultural level of Japan, and developed Koria, and China by improving the working of silk. “Did the emperor Ojin put into practise the three virtues of Japan? I believe it was actually him that gave the incentive to Mikado Nintoku to transfer me first into the vestments of Kami and then in the vestments of Mikado Francesco, including the Kirei Kundalini Fuji . I will transmit what is written in the sacred book. In the year 278 a.d. his faithful minister Takeshiuchi no Sokune was under the orders of Ojin to inspect the north of Kyùshù. During his absence other envious ministers accused him of inciting rebellion against Ojin the emperor. On his return he was received very coldly but he proved these were evil rumors and was believed and was once again given much responsibility at court and his enemies thought it better to become his friend. The Emperor Mikado Ojin-tennò, was venerated in secret as the God of the warriors with the name of Hachiman. His reign lasted 31 years until the year 312 when, tired of the continuous battles, he decided to withdraw from the public life and to pass his imperial title to the one who became the greatest emperor of the entire Japanese history: Mikado Nintoku-tennò. Mikado Ojin-tennò, lived the rest of his life in incognito and total retirement at Herai, a little village funded by his father Oikiri and by his uncle Asaf. He secretly helped Nintoku and Kami to govern that, which has been defined as the most peaceful reign in the history of Japan. Disguised as a peasant, he was also present at Kami’s funeral. He passed away on 18 October 397, two years before his son Nintoku. Mikado Ojin-tennò lived to the honourable age of 390. In the year 0 two Divine babies were born to the Virgin Mary in Bethlehem by the name of Jesus and Thomas…. The sacred family manage to escape from the orders of Herod to kill 2707 babies by escaping to Egypt…. The fourth of eight children of the sacred family was born in the year 07, and was given the name of Daniel. 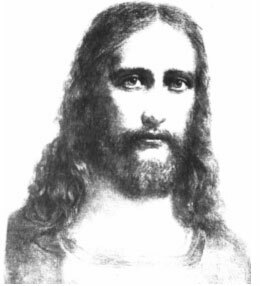 He died at the young age of 25, just as his elder brother Jesus, was preparing for his sacred mission. 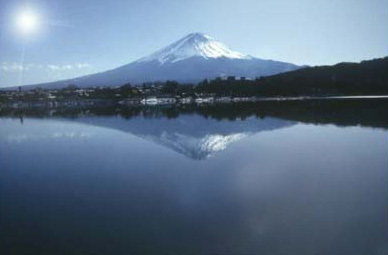 At 25 at the height of His maturity and spiritual preparation, Jesus decided to return to Kashmir and continue onto China and then to satisfy a great desire with His brother Thomas to go to God’s chosen place of rest after the seven days of creation: this was/is Japan and Fuji, called the “mount of God”. Oikiri Thomas separates from Jesus and together with Jingò-Kogò and the great Sensei head towards the district of Aomori and create the village known as Herai. 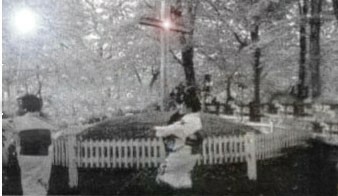 Jesus met the great Sensei of Japan and isolated Himself on the slope or Kury-ama of Fuji for 21 days, 14 of which He spent on the hard climb up to Fuji with 21 kilos on His back and then 7 days at the peak to communicate with God and the immortal Divinity or Kami of Japan……..
One day He felt the time had arrived to return to Japan and He went to Aomori where his brother Thomas was and remained there for 7 years….. I will take another little imperial break of reflection to be able to summarize the knowledge of my beloved Mikado Nintoku-tennò with true and just words. I will try on the next page…..
Mikado Nintoku-tennò, meets the peasant Kami and helps him to become one of the greatest Sensei in Japan. Mikado Nintoku-tennò was the maternal nephew of Thomas and the continuation of the royal karmic process. 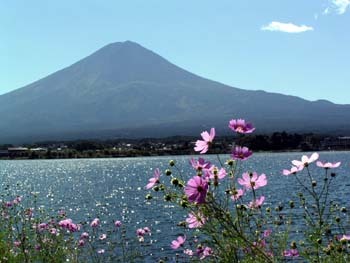 At the age of 21 he met the wise of the wise Yuzu Asaf while he was meditating on the banks of the river under Fuji. Yuzu Asaf Transmited the truth of His sacred descendants and the sacred components of His sacred family in Nazareth and He spoke with an open heart of His brother Daniel who died at the age of 25 of a physical sickness. Jesus told Nintoku that Daniel was re-incarnated together with him in the vestments of Kami and asked Nintoku to guide him with his immense spiritual values and to never forget that the blood of the peasant Kami flowed in the sacred family and was the principle cause of the amplification of the new power of Mikado and of what happened outside of them…..
Mikado Nintoku-tennò was born in the year 85 a.d. and took the title of Emperor in the year 303, at the venerable age of 218. his reign lasted 87 years until he passed to a better life in the year 399. Mikado Nintoku-tennò, lived until the age of 314, and although he transmitted the power of Mikado to his son Oe-izzau-wake, who was known in history as Richù-tennò and after him a total darkness followed in the land of the Rising Sun. Takeshiuschi no Sukune known Kami was born in 87 a.d. he married a beautiful girl with royal blood by the name of Sonoko San, who had the ability of awareness since birth. A son was born from this union who unknowingly would carry on the delicate task of the royal dynasty. Kami knew well that he was reincarnated from Daniel the blood brother of Jesus and lived beside his beloved spiritual brother Mikado Nintoku-tennò until the age of 305. Kami was the son of Takeshiuchi no Sukune, the faithful Minister of the emperor Ojin, the one who suffered the test of boiling oil, and who experienced the divine healing thanks to three mysterious Sensei (the Emperor Oijin, Mikado Nintoku and Kami…). Takeshiuchi no Sukune’s family greatly contributed to the glory of Nintoku’s reign. In fact, it is through the love and respect given to Kami that we find the remarkable deeds accomplished by Kami himself and by his family members, for several generations. It is important to know that Nintoku and Kami were united by divine brotherhood. They were born at the same time and at their birth a bird of ill omen, the owl Tsuko, entered the O-sasagi’s room, and a wren circled around Takeshiuchi no Sukune’s son. Therefore, to beseech fate, the Emperor Oijn-tennò called his own son O-sasagi (became Nintoku) and Takashiuchi no Sukune’s son-who was brought up in the country by his grandparents-Tsuku (became Kami). 1462 years passed and the two Divine Spirits decided to reincarnate at the same time in the vestments of Mikado Matsuhito -1852-1912 and Mikado Usui -1855- 1948. I think it is time to take another pause……. 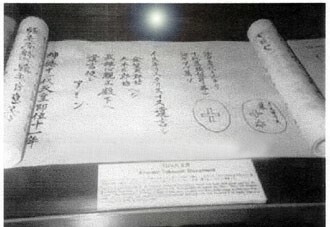 In 1935 the spiritualist Kiyomaro Takeuchi discovered an ancient Japanese document dated 1900 years before. It was registered in the district of Ibaraka and contains the proof that Jesus was buried in the village of Herai the region of Aomori in Japan. The document was so sensational that the Japanese government closed it in a museum in Tokyo. During the second world war Tokyo was bombed and the museum with all it’s contents was destroyed. Fortunately the family of Takeuchi had had the document translated in modern Japanese. 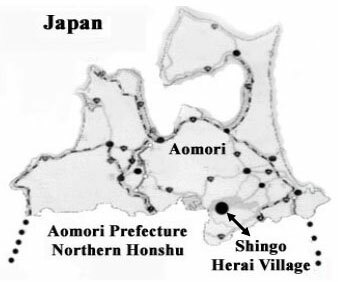 The prefect of Aomori in Honshu near the island of Hokkaido and the new village of Shingo previously known as Herai. “Herai” is not a Japanese name. In modern Japanese “Herai” is almost identical to “Hebrai.” That means “Hebrew”. In Hebrew Herai means “a mountain”. Both tombs have a simple form. The tombs of Jesus and his brother Thomas are near the top of a steep mountain. It is very probable that the changing of the name of the village was perhaps the work of the Japanese government to keep the place hidden. The legend of Herai passes from generation to generation hiding always the “Divine Truth” saying that Jesus was married with three children, and died in Herai at around the age of 50 with the love and respect of everyone. 2013years ago, the master said that to learn to calm the mind and emotions there was a technique that consisted of repeating a mantra and Mudras, the so called “syllable seeds” or sacred sounds, of which the repeating calms the mind and placates the emotions, and at the same time generates the vital frequencies to optimize the well being of the psycho-physical state. The repetition of the mantra can be matched to the breathing rhythm. It is important to know the real purpose of the recital of the mantra. At the beginning it can be because it helps to relax our body then it can be used to relax the mind and emotions. At this point we will have learnt that the mantra helps to realize what we are reciting: the physical relaxation the interior calm, and also helps to eliminate attacks of fear, shyness, and pessimism..
11th. Ware soku Kami Nari I am a Divine Being and 12th. Jin Rui Soku Kami Nari humanity is a Divine Being. It is practiced together in contact with nature accompanied with a sequence of the mantra. They are without doubt the strongest in general and of those of the Japanese. It is well to note that from the birth of these two IN there has never been another two IN that served humanity so effectively, others have been of help in certain cases, who are the holders of authentic energy of Cryptic love…. Yuzu Asaf, or rather Jesus and Oikiri Thomas taught the people to read, write and sing using an easy alphabet to help remember sounds. They told of the coming of God on earth and put this mantra in code until with the help of Mikado Nintoku and Kami, the future generations decoded it. Their ingenious method survived wars of power for 2000 years, inside the significance of a “mantra” in, or Mudras that has transmitted 2003 years of the folklore of Herai. No! Jesus died in the year 133 at Rozabal in Kashmir and fighting the “blind faith” we are able to understand because of the various calendars (Roman, etc..) the date could be mistaken but not the place. As we will on all that has been documented, Suzanna Marie Olssen has officially asked in the name of science and of the “Truth” that the d.n.a. of Mary the mother of Jesus and Jesus the son be examined in order that the new generation live in full liberty of the truth that Jesus is the only one of the three prophets (and Mosè) buried in Kashmir, and that in this little piece of land is that, that we all know as “the promised Land” and that Jesus lived His last divine days on this Earth there. 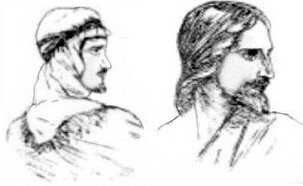 The official story says that Thomas (Greek translation “toma”: twin ) after the crucifixion predicted in Jerusalem in 40 a.d. then went to India in Malabar, now known as Krala. He preached in Kerale, establishing 7 churches the: Kodungallug, Kottakkavo, Palayur, Kollan, Kokkamangallan, Niranam, and Chayil. In 72 he was stabbed with spears in Calamina, and his body was taken to Mylapore (near Madras) and was buried there. His cranium and some of his bones are in the Vatican and other parts of his body are in Syria. We must remember that Jesus died some years after the death of Thomas. The documents show that the will of Jesus is that after His death., the body of His brother should be reburied near His, or perhaps the document was translated incorrectly or…. We must consider that in those two tombs there are two bodies, that personified to perfection the teachings of the twins of Nazareth or Jesus and Thomas! Certainly. The official story regarding that of Mikado Nintoku is that his body is on the mount of Unebi, near the imperial founder Kamu-Yamato-Iware-hiko-no-mikoto, known as Jummò-tennò. The story is not so easily proven as Mikado Nintoku but all the great Sensei that live in contact with Fuji know that the body of the “Light and Stars” of Kami was taken to the peak of Fuji. 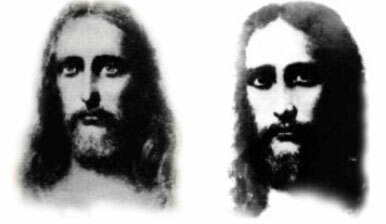 What is true is that in the land of The Rising Sun or better known as Japan there had been only two people that personified the teachings of Jesus and Thomas. The greatest emperor in the history of Japan Mikado Nintoku-tennò and the great peasant Sensei Kami and with this I can add nothing more. Believe me that through this book, I Mikado Francesco have fulfilled my duty and as is my custom I am going further and am happy for this other question because I know that the Spirit of Truth has entered and is part of your illuminated life.